Waren verkrijgbaar via ultraeurope.ticketshop.hr en VakantieVeilingen. The 2nd edition of Ultra Europe proved once more to be the hottest destination of the summer hosting over 125.000 people from over 120 countries. We are already gearing up to return to the city of Split with plans to make it an even more unique and bigger experience. 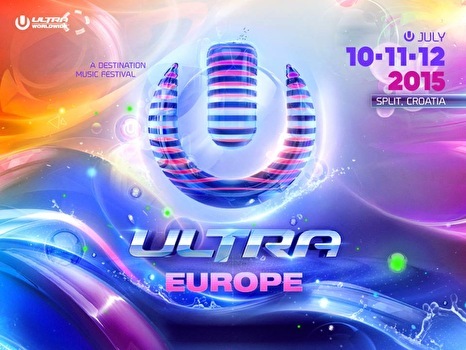 Dates are set - Ultra Europe Music Festival 2015 is back on July 10,11 & 12 next summer. Join the Ultimate Destination Music Festival in the world! See you all in beautiful and sunny Croatia! Iemand misschien ervaringen of tips vanuit voorgaande edities !? Weet iemand of er ook nog gewone dagtickets komen? Ultra Europe almost sold out and now already For Sale: 2 tickets for Ultra Music Europe, 11-13 July in Croatia! Including beachville camping tickets &­ accomodation, from July 9 to the 14th of July.­ Together for only € 400! Normal Price €500.­ Please send me a personal message for more information!